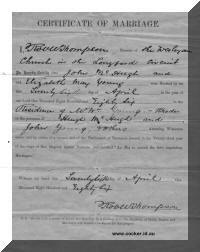 2-John McHugh was born on 18 Jul 1858 in Strathroy, Launceston, died on 27 Sep 1919 in Launceston at age 61, and was buried in Carr Villa Cemetery, Launceston, Tasmania. 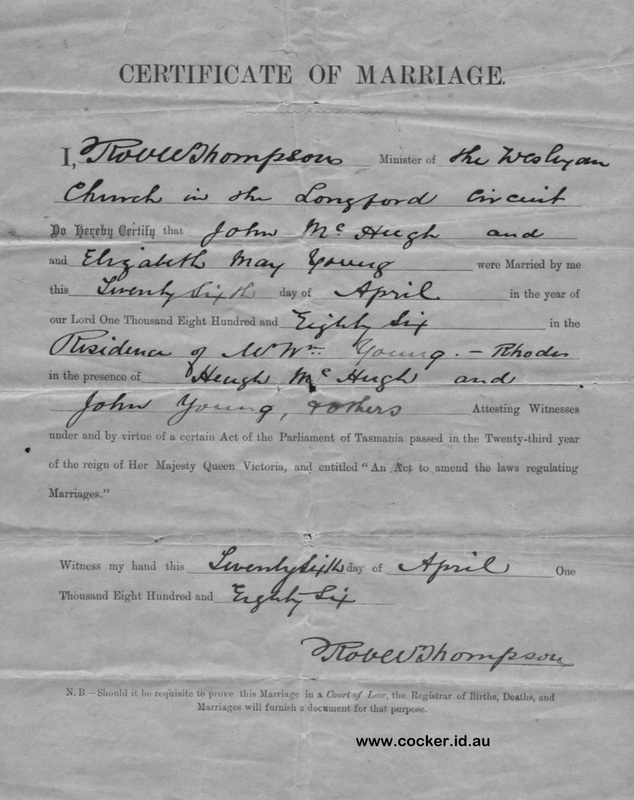 John married Elizabeth May Young, daughter of William Swanston Young and Sarah Oliver, on 26 Apr 1886 in the residence of William Young, Rhodes, Longford. 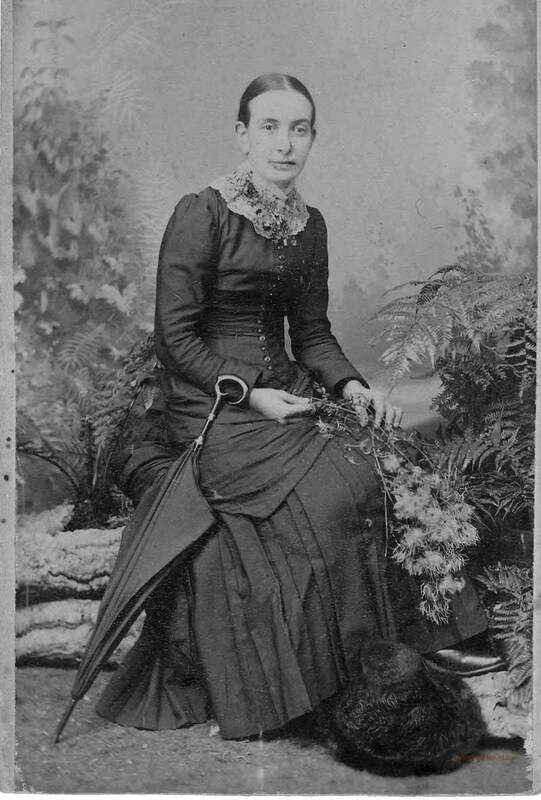 Elizabeth was born on 2 Sep 1862 in Longford, Tasmania, died on 10 Jun 1941 in Launceston at age 78, and was buried in Carr Villa Cemetery, Launceston, Tasmania. 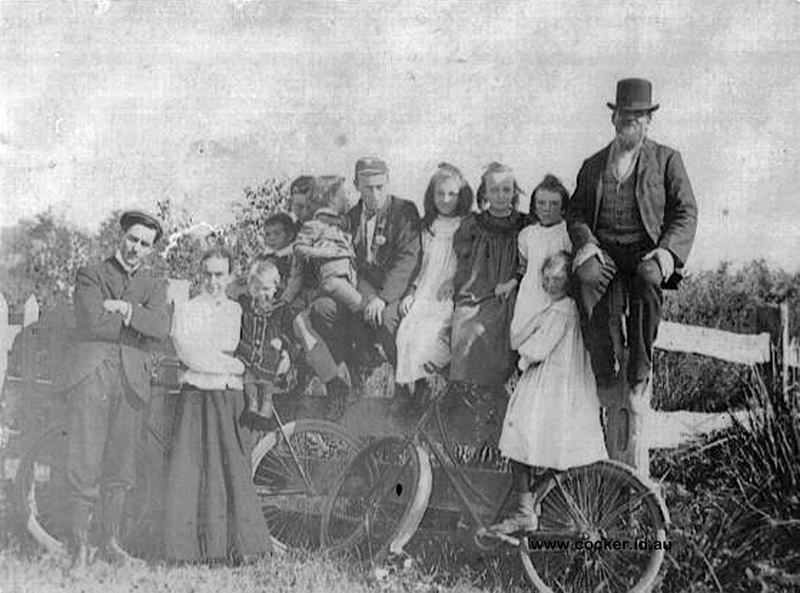 This family photo was taken at Dulverton around 1900 by two travelling cyclists who had a camera. 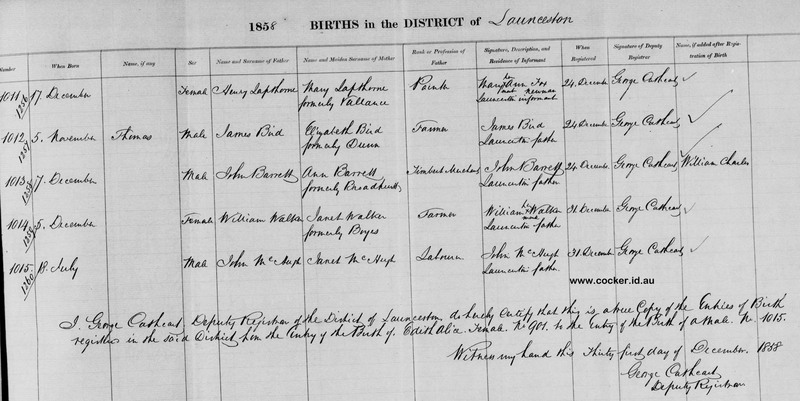 John is seated on the post and Elizabeth May is standing, holding Gordon. 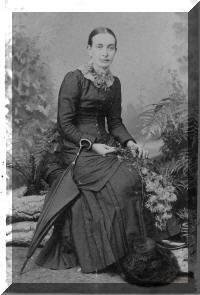 The first photo is is Elizabeth May Young.